Acer, the global leader in computer hardware technologies, is launching the annual grand campaign: Acer Day on July 21st, 2018, which is their greatest promotion event of the year. With the successful promotion experience last year, Acer is launching the campaign in Pan-Asia region again this year, in hoping that through web site promotion, image advertising, channel experience, and event participation, Acer Day can build up the brand image of “Young, Trendy and Technology” in the mind of the consumers around Pan-Asia countries, whilst enhance the bonding between Acer and the consumers and raise the recognition of Acer among young generations. has also join in the event this year, bringing the number of participating countries up to twenty. The theme of the campaign is “Play music together!”. 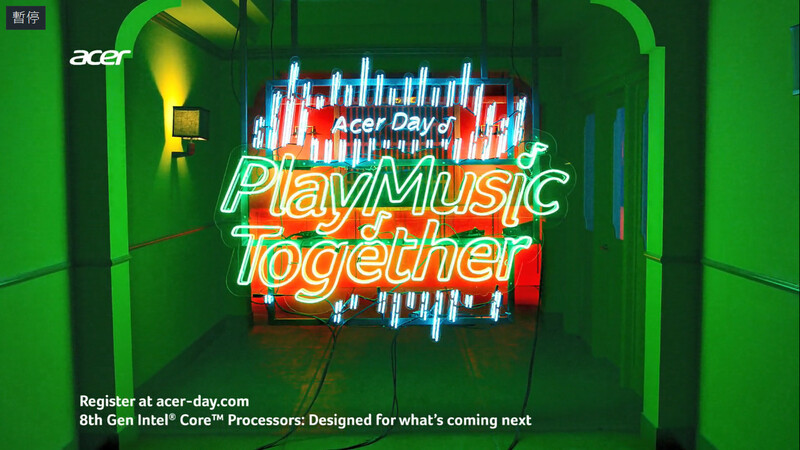 Based on the belief that music is the best language, Acer hope to connect everyone on the Acer platform through music and color, regardless the limitation of boundaries and races. The event website will be officially launched at July 21st. The consumers can interact with people from around the world, create their original music or take some fun quizzes, and by doing so, they can earn some Cool Points which allows them to enter the giveaways of fantastic gifts like free Asia travel or Acer laptops. Acer is anticipating a larger participation and responds from the consumers with this well designed events. NEXT POST Next post: Yahoo Mail Go App one of the Best Lightweight App for Android Go Smartphones.